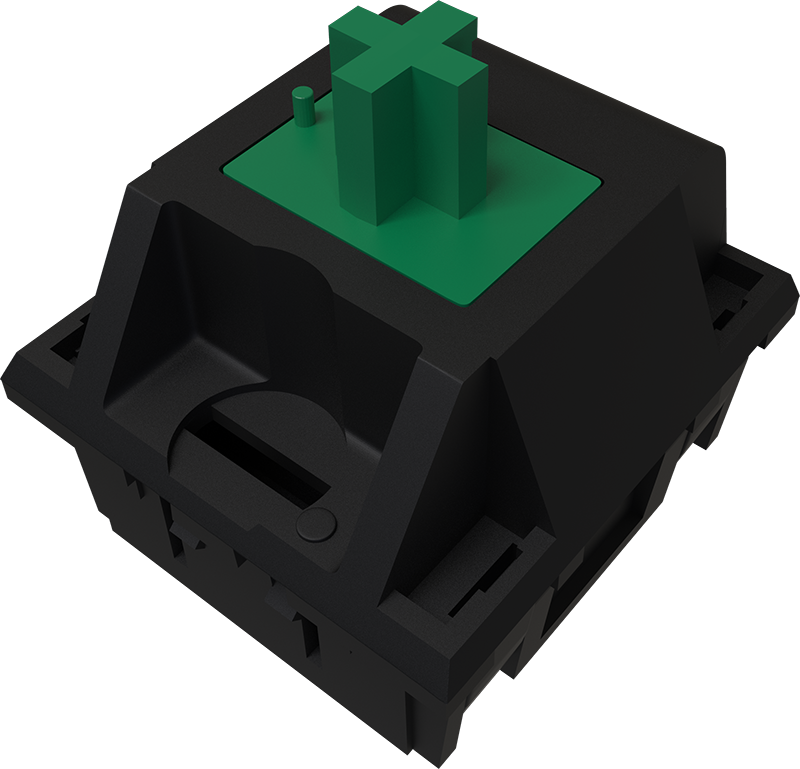 The Cherry MX Green is a heavier version of its MX Blue counterpart. 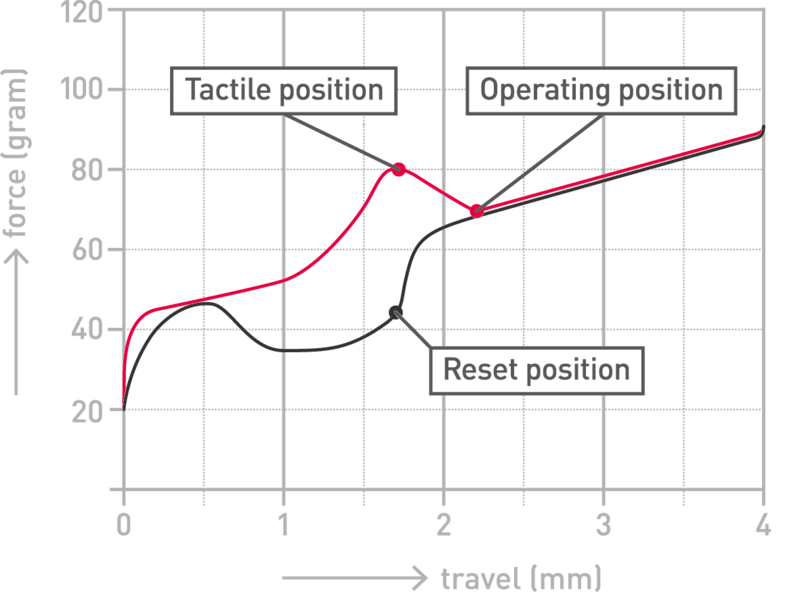 It features the same actuating characteristics, like an audible and tactile click, but the actuation force is higher at 80 centinewtons. A Green MX switch is sometimes used for the spacebar in a Blue MX keyboard. I'm typing on them. I thought they would have a more pronounced click than the blues but they are the same. Really it just feels like a blue that is sort of stuck or hampered. Not exactly the fun experience I thought they'd be. Blues are easier. 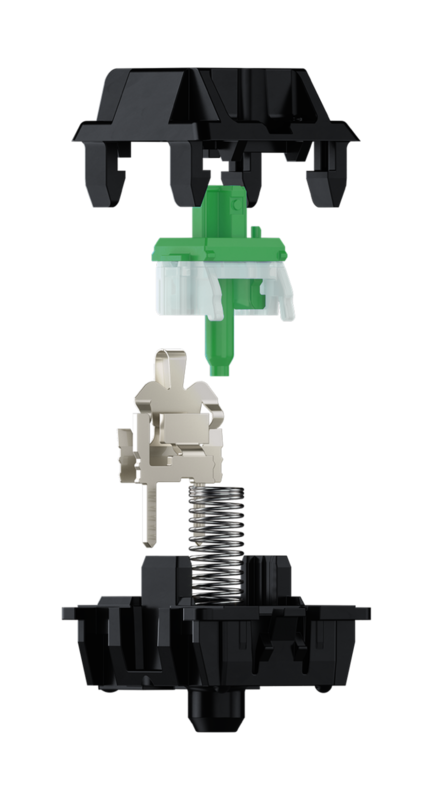 High precision typing, good resilience switch, pleasure writing. Wonderful for typing, not so good for gaming when you're trying to communicate with team mates and they can't hear you. 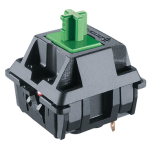 Have experience using Cherry MX Green switches? Add a review to share your knowledge with the keyboard community.